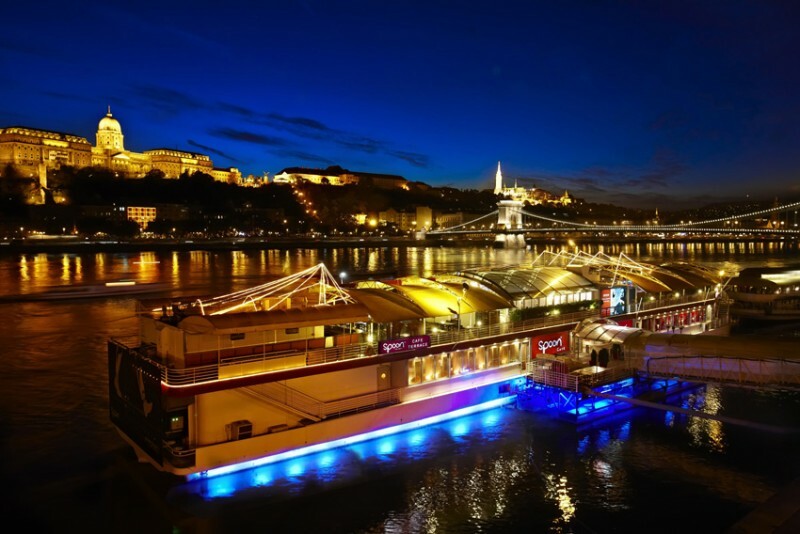 At the foot of Chain Bridge, just in front of the Buda Castle you can find on the Danube a specially designed, 75-metre-long boat restaurant, called Spoon Restaurant Budapest, open the whole year. In winter we welcome our visitors in 3 different restaurants and, in addition, in summer two great, wonderful terraces are available as well. With 3 kitchens and 5 bars we offer our services almost for all age-groups on 1600 m2. Our goal is to ensure that our visitors do not only enjoy gastronomic pleasures but the particular view in our restaurant as well. 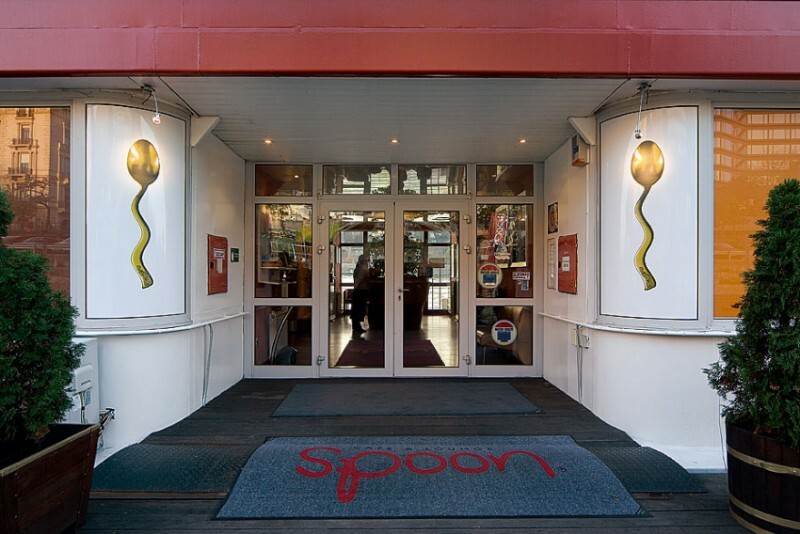 Spoon Cafe restaurant’s fusion cuisine tends to be fitting expectations of national trends through our Hungarian specialities, furthermore we also have a wide range of meals from the Far East as well. 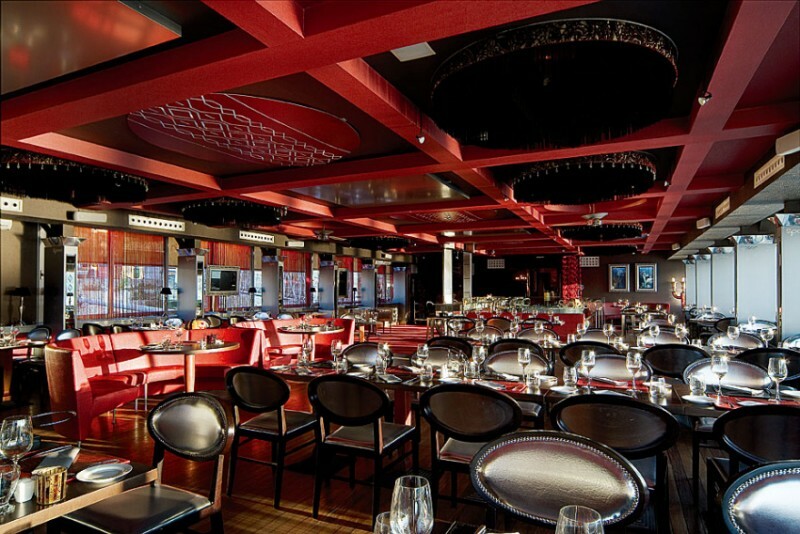 This restaurant, thanks to its 600 seats, offers various possibilities for special events such as: weddings, conferences, press conferences, corporate and private parties, fashion shows, balls and other small and large events. Café: This is a place in the heart of the downtown, on the Danube, where the service is unique and where you can find the magical gastronomy and the most beautiful view of Budapest. Live piano music, gold and matchless elegance that describes the Café. A first-class restaurant that can hold 90 persons, it is suitable for family gatherings, business meetings and other events alike. 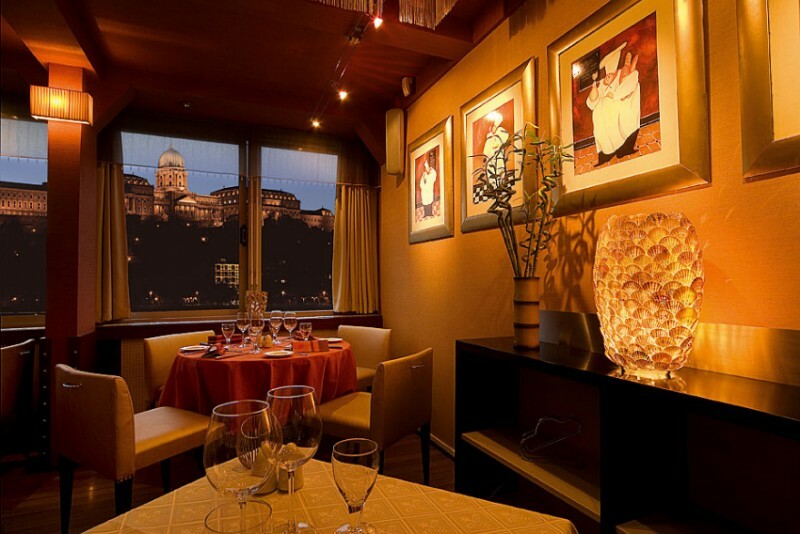 The Buda Royal Castle is situated directly opposite to the windows so a picturesque view forms part of any lunch or dinner here. Our wine offerings provide a taste of famous wines originating from the most important Hungarian wine regions so feel free to browse through our wine list. Lounge: A place of light elegance and event venue. 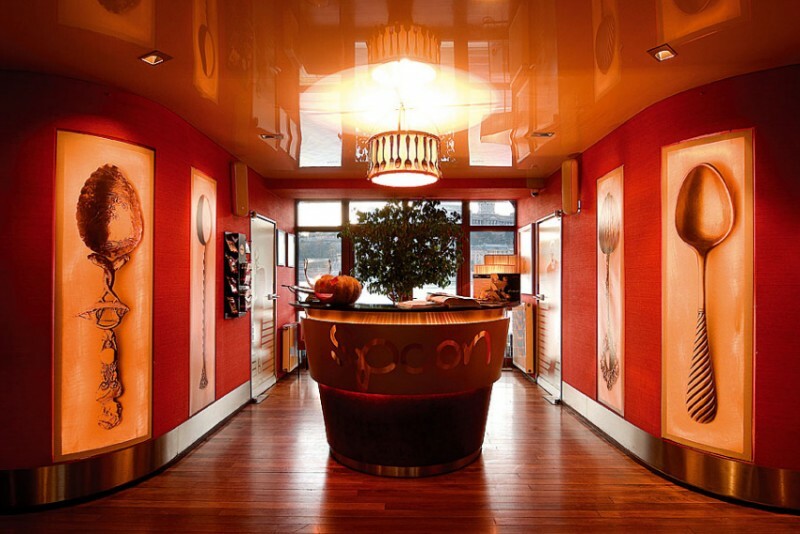 The room can hold 130 persons and can be arranged in a wide variety of layouts. Its interior design enables visitors not wearing tuxedoes but still looking for an elegant atmosphere to participate in a real lounge experience. You will find giant televisions, excellent mixers and a great view on the Buda Castle and the Chain Bridge. 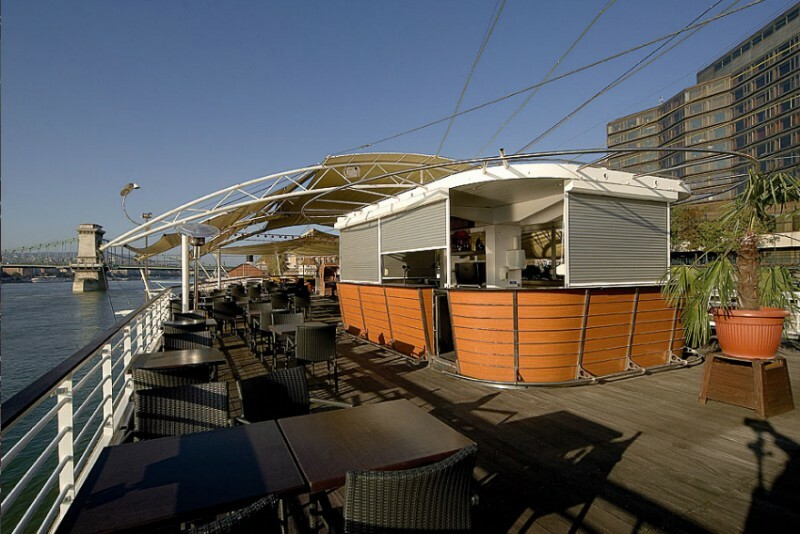 Terrace: If you are searching for the perfect place for a romantic dinner either for business meeting it is likely to have a big chance that the google will offer the Spoon Terrace for you. 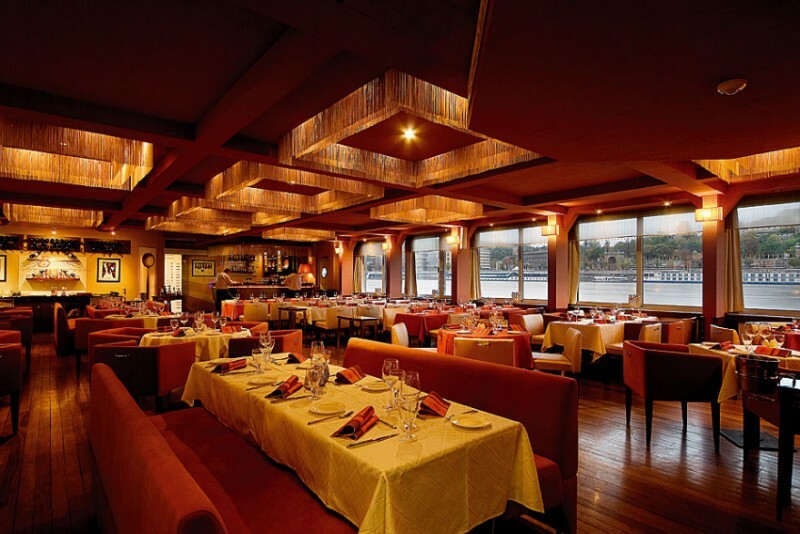 The most valuable part of the boat is the Terrace, whether it is a wedding or a corporate lunch. Beside the beautiful view of the Terrace we guarantee you the perfect evening. 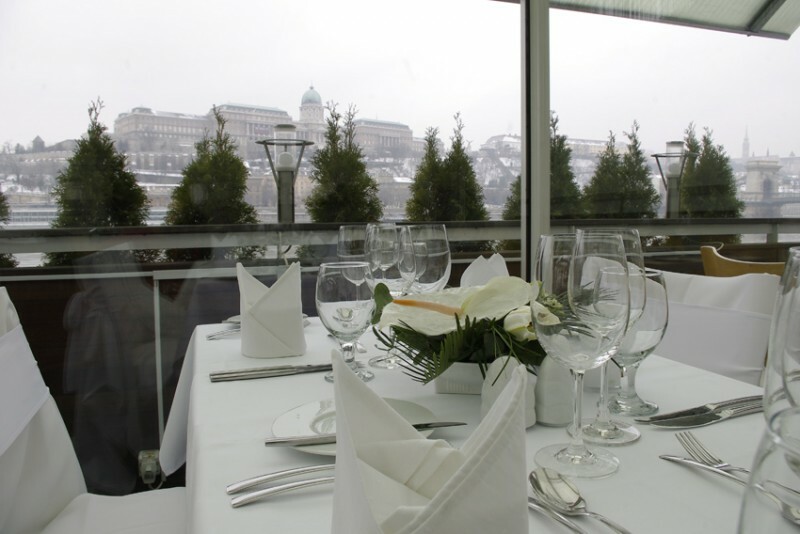 While you take a culinary journey by the Chef and his Team you can rest your eyes on the Royal Castle and the Chain Bridge composition.